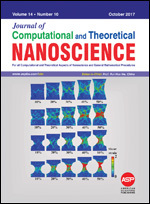 JCTN publishes peer-reviewed research papers in all fundamental and applied research aspects of computational and theoretical nanoscience and nanotechnology and general mathematical procedures dealing with chemistry, physics, materials science, engineering, and biology/medicine. Please submit manuscript online to the Manuscript Tracking System. PLEASE READ THIS NOTE BEFORE SUBMISSION: Manuscript processing fees of US$ 980 per article for all Countries. Please read "Instructions for Authors" for more details. Hereafter, online submission to the journal is assumed that authors fully agree to pay US$ 980 manuscript processing fees for articles upon acceptance.